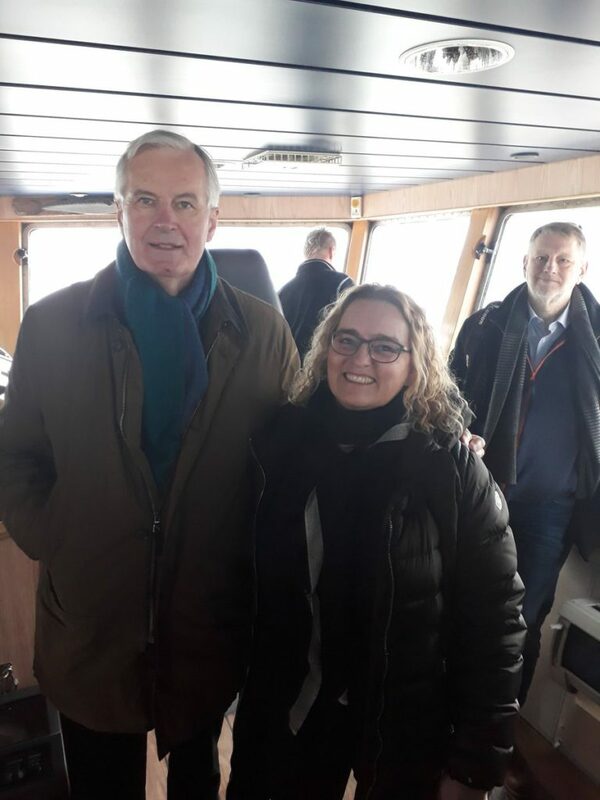 Brussels – The European Fisheries Alliance (EUFA) welcomes EU chief negotiator Michel Barnier’s visit to Lemvig and Thyborøn in Denmark. Mr. Barnier’s clear message that the issue of fisheries cannot be addressed in isolation from the wider trade agreement sends a strong signal to fishermen, businesses and fishing communities in Denmark and across Europe. Beyond its foundational role in the social fabric of coastal communities, the fishing industry contributes 12.5 billion Danish Kroner to Denmark’s GDP and supports 16.000 jobs, many located in remote coastal communities. Danish fisheries take habitually close to 50% of its catch in the North Sea and adjacent waters, in what would become UK waters. A hard Brexit would have grave socio-economic consequences for not only the Danish but the whole European fisheries sector and the communities that, like Lemvig and Thyborøn, depend on it. It is precisely this vital role that is leading a growing number of coastal communities across Europe, over 70 at the time of writing, to sign the so-called Santiago Declaration, an initiative launched by the EUFA in 2017. As negotiations now enter a critical phase on a transition period and the future relationship with the United Kingdom, the EUFA reiterates its support for the European Commission’s approach that the entire EU acquis remains in effect during the transition. Fishing fleets on both sides of the Channel need time and predictability to make appropriate plans for the future. This will also ensure the continued sustainability of stocks and economic competitiveness for the fishing industry in the UK and the EU while the future relationship is being negotiated. The EUFA calls upon both sides to continue working together in a spirit of sincere cooperation towards a mutually beneficial future framework for EU-UK relations in the area of fisheries. We firmly believe that the unique nature of fisheries, a shared resource, must be considered within the context of wider trade relations, as it has been highlighted by Mr. Barnier today. EUFA Chairman Gerard van Balsfoort remarked “We welcome today’s visit to Lemvig and Thyborøn and Michel Barnier’s willingness to engage with fishermen on the ground. Meeting those whose livelihoods will be most affected by the departure of the UK from the European Union is a strong signal to fishermen across the EU. These communities depend on the fishing industry, but it is also part of their way of life. The European Fisheries Alliance fully supports Mr. Barnier’s approach that the Common Fisheries Policy should continue to apply during the transition and that fisheries cannot be considered in isolation from the wider trade context when discussing the future EU-UK relationship. We stand ready to assist all parties in achieving a close EU-UK future partnership agreement on fisheries that is based on core elements of the current CFP”.